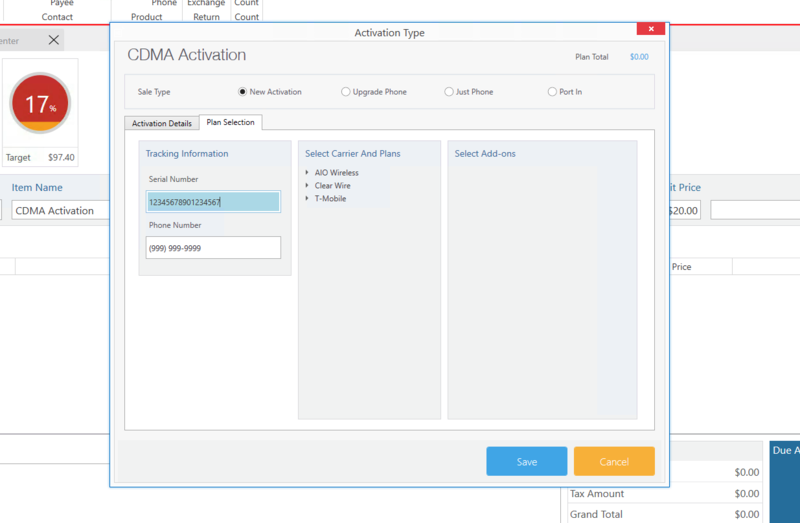 Your store allows activation of CDMA devices a customer may bring. In this case, how would you track the activation of a product you did not sell? One solution is to create a service product that can be activated. 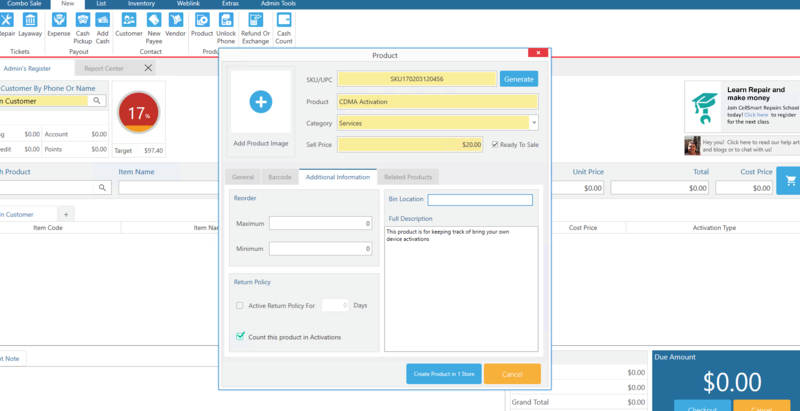 Go to New / Product and create a product with a service category and enable "Count in Activation" within the Additional Information tab. Now that we have the product, we can sell this product. When the item is added to the register it will prompt to enter activation information of this product.